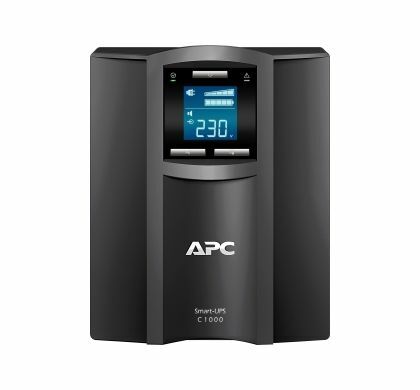 APC award-winning Smart-UPS® is the most popular UPS in the world for servers, storage and network power protection. Trusted to protect critical data and equipment from power problems by supplying clean and reliable network-grade power. In addition to legendary reliability and manageability, Smart-UPS have extremely high efficiency at low, medium and high load levels making them ideal for today's multi-core or virtualized servers that have varying load consumption. Available in a variety of form factors (tower, rack mount, rack/tower convertible) there is a model for every application and budget. Rack mounted Smart-UPS are ideal for powering Blade or density optimized servers in a distributed power protection environment as the primary or redundant protection. Smart-UPS® models have long been considered the benchmark for all network and server UPS's. Smart-UPS feature a 16-segment LED display, extended range automatic voltage regulation (AVR), and pure sine wave output on battery. Additional manageability options are available through the Smart-Slot interface, which is an internal slot for the installation of optional accessory cards. The extended run Smart-UPS XL has the capability to add external battery packs to scale runtime from minutes to hours typically needed for converged voice and data network power protection. 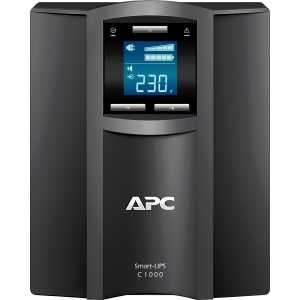 The entry level Smart-UPS SC is an economical choice for small and medium businesses looking to protect small switches, networking devices and point-of-sale (POS) equipment.